Members of the Emmanuel Baptist Church choir crooned “no weapon they throw at me, you know it won’t prosper, no,” while donned in all black outfits and carrying picket signs reading “Black Lives Matter” during this year’s CSU Super Sunday service. Super Sunday, part of the California State University system’s African American Initiative, resulted in CSU ambassadors visiting over 72 churches and speaking at over 100 church services in the state to encourage African American youth to pursue higher education. “I think it’s a great opportunity for the CSU system to remind people that our mission is to aid ordinary people in being successful and transforming their families,” said San Jose State Interim President Susan Martin. 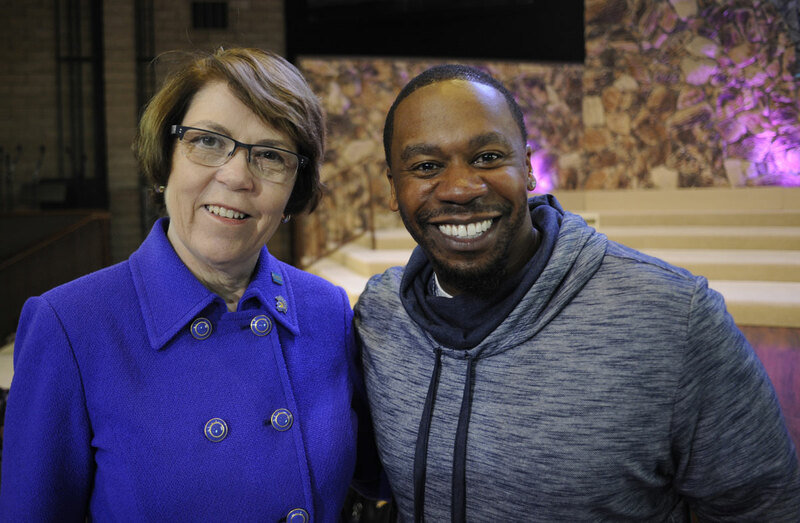 SJSU Interim President Sue Martin and Pastor Jason Reynolds (Photo: Neal Waters, ’07 Geography, ’16 MS Mass Communications). 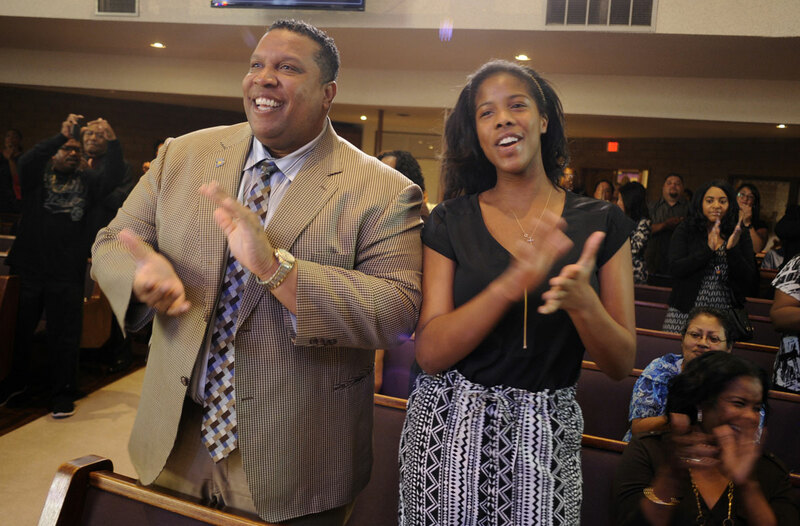 President Martin, who attended Emmanuel Baptist Church’s service on Feb. 28 along with SJSU Vice President of Student Affairs Reginald Blaylock, stressed the importance of encouraging youths to start considering college at a young age. Tierney Yates, Social Sciences ’14, said he was only one of three African Americans in his political science program while in his undergraduate career and hopes the initiative will help boost representation in the CSU. 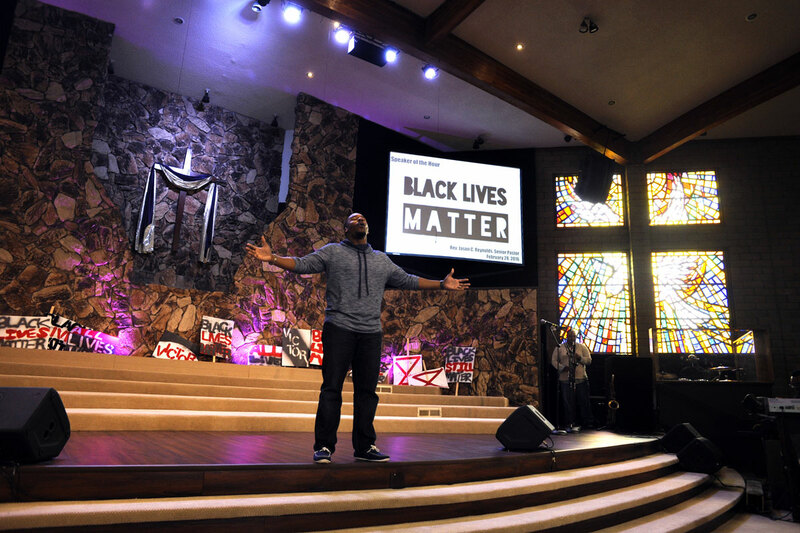 Yates, who serves as the church choir director, said the Black Lives Matter message was incorporated into the musical performances in addition to Pastor Jason Reynolds’ sermons for the month of February in order to bring attention to institutional racism and other issues. Blaylock, who has served in the CSU system for 28 years, told the service attendees that he was a product of the system’s opportunities. 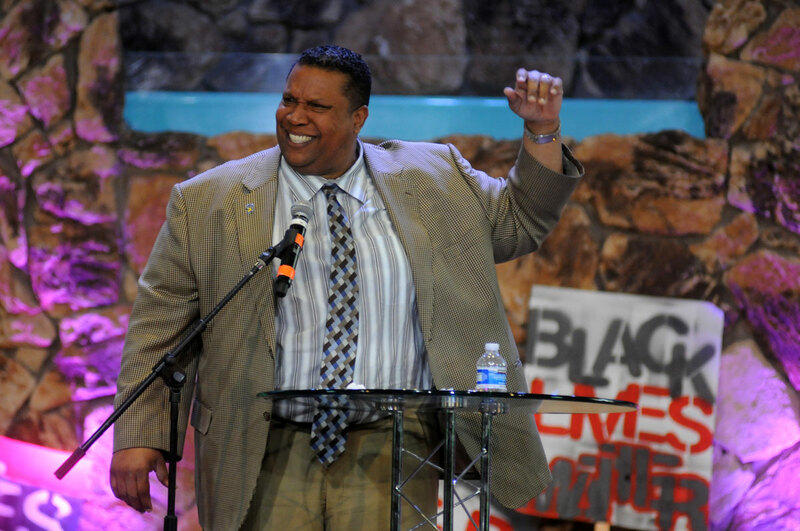 Despite it being the 11th year that the CSU has organized a Super Sunday with California churches, Blaylock said there is a deep-rooted culture of partnerships within the system. Yates said he was pleased to see over 20 SJSU or CSU alumni members in the church audience.